Thank you for taking the time to visit our site. We are here to encourage you to pray more. You will be provoked to pray! Also, let me encourage you to sign up for the “prophetic insights” that I send out to thousands each weekday morning. I promise you will be provoked and encouraged to pray more. Just use the sign up at the right, “contacts”, then “Mailing list signup”. You will recieve these words of encouragement every weekday morning. Your email will be used for no other purposes. You will find two book offerings on our site. These books will change the way you speak and pray. In my new book, 40 Days Through the Prayers of Jesus, you will be challenged to learn to pray like Jesus prayed. You will find provoking insights that will test your prayer life. I have taken the twenty-three times Jesus prayed in the Gospels, in chronological order, and written forty chapters on these prayers. 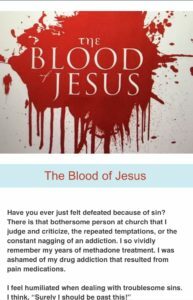 As you read this book you will discover marvelous understandings about the prayer life of Jesus. As a gift for joining our mailing list you will receive two 3″/5″ bookmarks: one book mark has prayer quotes on one side and prayer scriptures on the reverse; the other book mark has a prophetic word for you and on the other side an exhortation on brokenness. As you can see, we are offering my two books together at a discounted rate of twenty dollars. Or, you may purchase the books separately on our website through the direct Amazon link. My books are also available at Barnes and Noble, and most Christian Bookstores. Take the challenge; try one of my reading plans on YouVersion. 7 days of fasting judgments, criticism, complaining, and sarcasm. Over 100,000 people have completed this seven-day plan. 10 days of feasting on the prayers of Jesus. 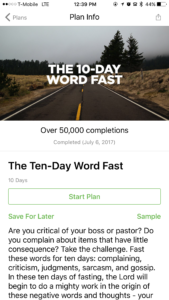 More than 10,000 people have completed this ten-day plan. 10 days of fasting negative words, judgments, criticism, sarcasm, complaining, and gossip. 50,000 people have completed reading plan to date. Annamae, my wife of forty-seven years, and I are passionate followers of Jesus. Specifically, we are elders in the body of Christ and minister in prayer and intercession. I travel some, speak, propesy and pray for people, and write. Annamae ministers in prayer, intercession, and travels in foreign missions. 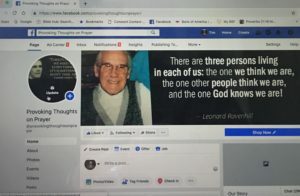 Officially, we are Cameron Family Ministries, Inc., a 501©(3) non-profit, fully recognized through the state of Oklahoma and the federal government via the I.R.S. Any donations are fully tax deductible and you will receive a donation receipt at the appropriate time of the year.